Mobile devices are going to play an even bigger role in the event ticket industry, as barcoded tickets finally start to make their way on to smart phones. Right now fans can buy tickets and download them using their mobile phone, and very soon fans will be able to walk in to a venue simply by scanning that barcode. This technology will begin to replace the “print at home” paper tickets that are commonly scanned at venue gates today. The transition to mobile tickets isn’t going to happen entirely in 2014, as it has taken the (much larger) airline industry years to embrace similar technology, but this is the year that mobile bar codes will start to see much wider distribution. One reason for the increase is the big push that Ticketmaster is making on mobile bar codes; their adoption has a large impact since they are the largest distributor of tickets. Another is the advances made in bar code scanners, which are becoming affordable enough for all venues to utilize. EventBrite Entry Manager is an example of this technology; their free scanner works to scan barcodes from the camera on any iPhone or Android device. The one-two punch of distribution and technology should propel mobile bar codes into the mainstream. Another driver of growth in mobile ticketing is consumer demand for this type of innovation. 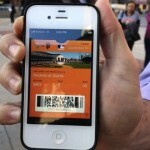 Mobile is already a huge part of the ticket business and is only going to get bigger in 2014. In fact, half of the visitors to TicketCity.com accessed our website via a mobile device in 2013. eMarketer projects that mobile search marketing will increase 52% in 2014 as consumers become increasingly comfortable making a purchase on their mobile device. Mobile commerce is propelling growth in the native mobile experience and mobile apps, with both technologies poised to take huge steps forward this year (note: keep an eye out for our mobile app launch in early Q2). The key now is going to be to give consumers a full mobile experience from the purchase to the venue, and bar coded mobile tickets are final step in that process. Fans pay a lot of money to attend their favorite events, so teams and venues need to provide an amazing experience just to keep them coming back. This trend is leading to a building boom as many of the top venues rush to improve their in-stadium experience. Some are adding unique, new seating options like the “sky bridge” seats at Madison Square Garden (part of MSG’s $1 billion upgrade), while others are building brand-new, state of the art venues like Levi’s Stadium in California. Integrated Wi-Fi and gigantic, state-of-the-art video boards are the features being added most often by venues; Bank of America Stadium, FirstEnergy Stadium, Lincoln Financial Field, M&T Bank Stadium and Levi’s, have added to their facilities or plan to add shortly. Levi’s Stadium is one of the most ambitious projects on the horizon and has promised fans the “most sophisticated Wi-Fi network ever” in a venue, as well as a host of handy features to improve the game day features like an app to tell fans which beer line is the shortest. The airline industry has discovered that many travelers will happily pay for the opportunity to upgrade their travel experience, whether it is increased leg room or a specific in-flight meal. That same concept will become more prominent in event ticketing this year, which will allow fans to customize their experience. Seat upgrades will be available to fans, even after they’ve entered the building. Patrons will have more opportunities to purchase unique experiences like sideline passes. Companies are overhauling key aspects of the game day experience like concessions. For example, Bypass Mobile is working on technology that allow you to purchase upgrades to skip the line or have your food delivered to your seat- no longer will you have to wait in long lines to enter or buy concessions. It is going to cost more this year to attend a top major sporting event. The average ticket price for major events is up 36% over the average price from the previous five years. 2014 projects to be more of the same as fans will likely spend more on tickets to the Super Bowl, Masters, Kentucky Derby and US Open tennis than in any other year in history. The big driver of increasing ticket prices for these events is the huge demand coming from the corporate world, as seat prices approach levels last seen before the 2008 financial crisis. In addition, individual fans are also coming out in record numbers, as many of them take the opportunity to attend one of these “bucket list” events. The 2014 Super Bowl will surely set a record for price as it experiences some of the strongest demand in history. It is being played on the upper East Coast for the first time, and the location by New York City places it within driving distance (4 hours) of over 60 million people. Corporate spending will play a big role in keeping prices high at the Super Bowl, and will have a similar impact on the Final Four in Dallas and at the Masters. Prices for Masters badges project to be at their highest point in the last decade, as more folks than ever make their way down to Augusta, Georgia. It will be more of the same at the Derby and US Open, as well as many of the top-tier events. 2014 concert attendance will take a step back, after a banner year for concert tours in 2013. While the acts that will be on-tour in 2014 are still being set, it is going to be near impossible to surpass the demand for concerts tickets from 2013. Last year saw a huge number of A-list music acts on-tour including Beyonce, Taylor Swift, Justin Bieber, Jay Z & Timberlake, Madonna, Paul McCartney, Fleetwood Mac, Maroon 5, Pink, Bruce Springsteen, Bon Jovi, Rihanna, and The Rolling Stones. The average ticket prices for those top shows was $177. Even with mega-stars like Miley Cyrus, George Strait, Lady Gaga, Arcade Fire, Cher, Justin Timberlake, Sting and Paul Simon all touring this year, they won’t be able to get as many people out to shows as last year. While attendance will likely be down slightly this year, this particularly trend may not hold in 2015 when rumors of tours by big acts, like U2, are already swirling. The concert festival business will get even bigger in 2014. Fans these days expect more bang for their buck and music festivals are stepping up to fill that space. This trend has been supported by fans willingness to pay a higher ticket price for that bigger experience – the average ticket price for major music festivals in the US is over $300. The higher price is justified by the chance to see a dozen or more of their favorite musicians or bands on the same day or weekend. Last year Austin City Limits Festival, Coachella and Lollapalooza all experienced record attendance, the later attracting more than 300,000 fans over 3 days to Grant Park. At Coachella the attendance is up 400% since 2001 and shows no sign of slowing down. Austin City Limits recently transitioned to a two-weekend format, like Coachella, to take advantage of sky rocketing demand for tickets. 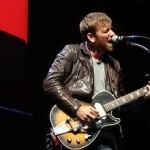 Coachella, ACL Fest and Lollapalooza will all get bigger in 2014 and that continued growth will spawn more competition. There are already a dozen top music festivals in the United States each year and that number should grow as more promoters try to capture the success of the recent festival boom. The 2-year-old Made in America Festival has become a hit in Philly and the 3-year-old iHeartMusic has been such a big deal that they will launch a country version this Spring in Austin called iHeartMusic Country Festival. Coachella just announced a stacked lineup for 2014 and ACL & Lollapalooza are likely to do the same, which means that these festivals are sure to be even bigger in the year ahead. There you have it – some of the trends that are sure to greatly impact the ticket business in 2014. This industry has evolved at a rapid pace over the last decade and these trends should help shape it well in to the future.